Apple released the iPhone XS, and there are millions of consumers around the world who are picking up the most advanced iPhone ever made. Why? It’s a hardware and software masterpiece. 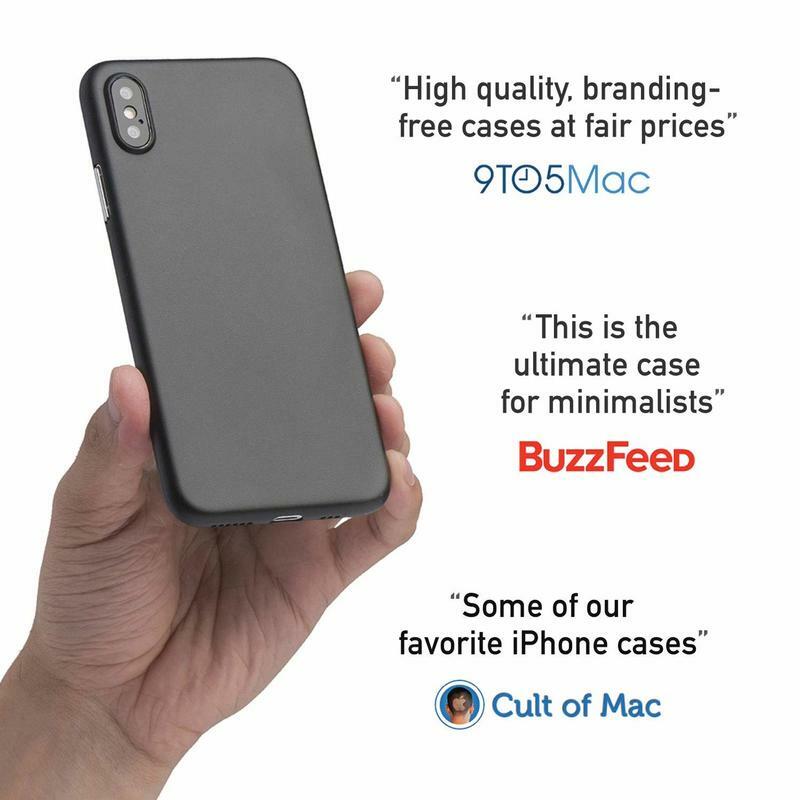 So you should treat it like one, and maybe a case isn’t a bad idea. The case you pick matters. Luckily, we put together a list of different types that might be of interest. 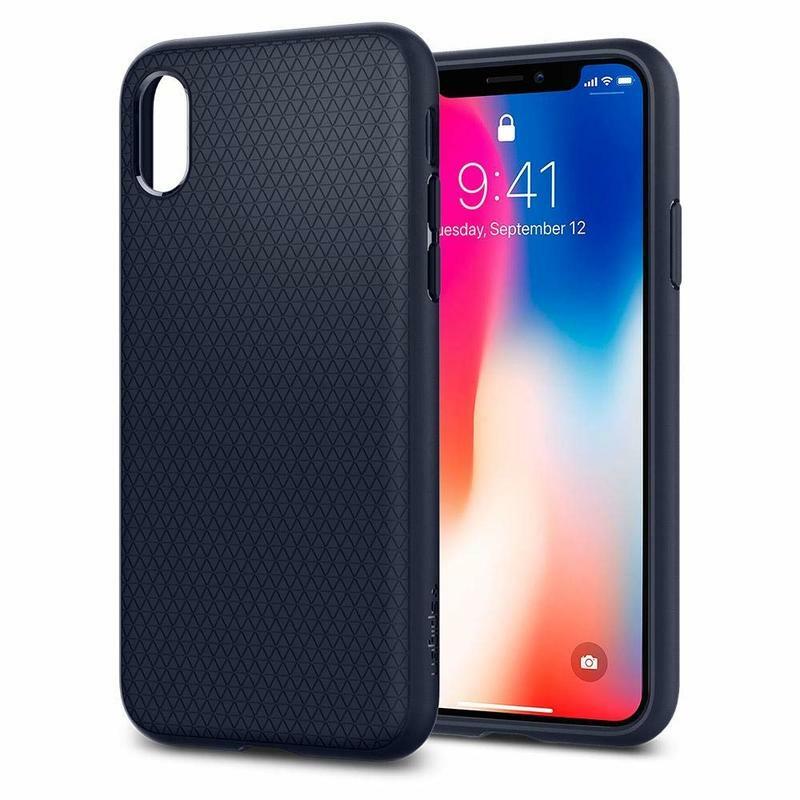 Whether you’re looking for style or protection, there’s a case for your iPhone XS that’s a perfect match. It wasn’t cheap to get that iPhone XS. In fact, there’s no doubt you spent more than $1,000 upfront or will do so over the course of the next two years. Apple acknowledges this, too. Since it makes premium products and services, you have to pay a premium price. That’s why getting a case would be wise. You’ll be able to keep that hefty investment in use for the long-term. 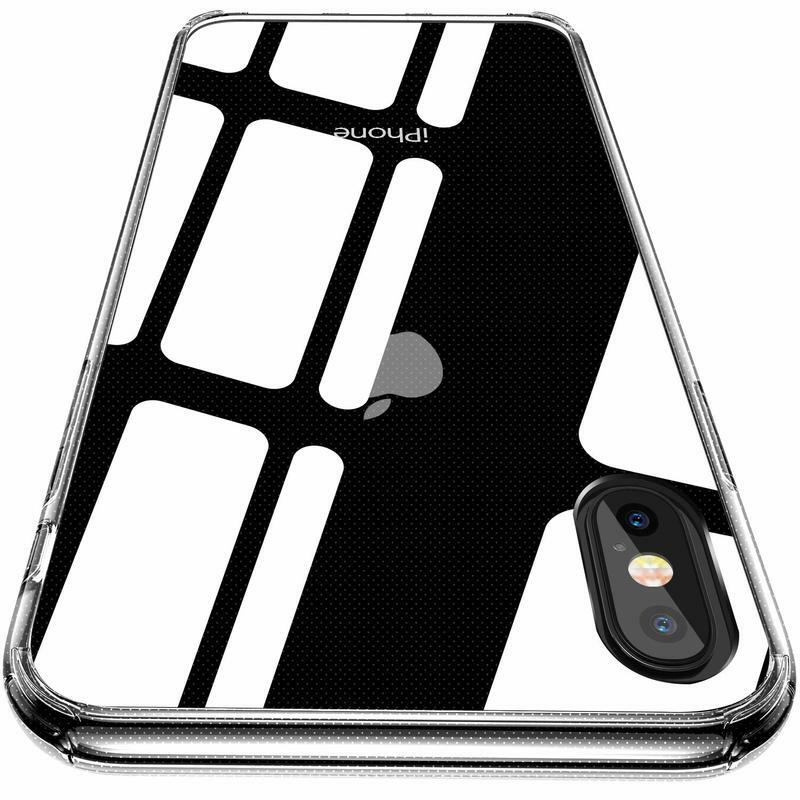 Here are some of the best cases for Apple’s iPhone XS. Don’t dismiss Totallee’s Thin case so quickly. 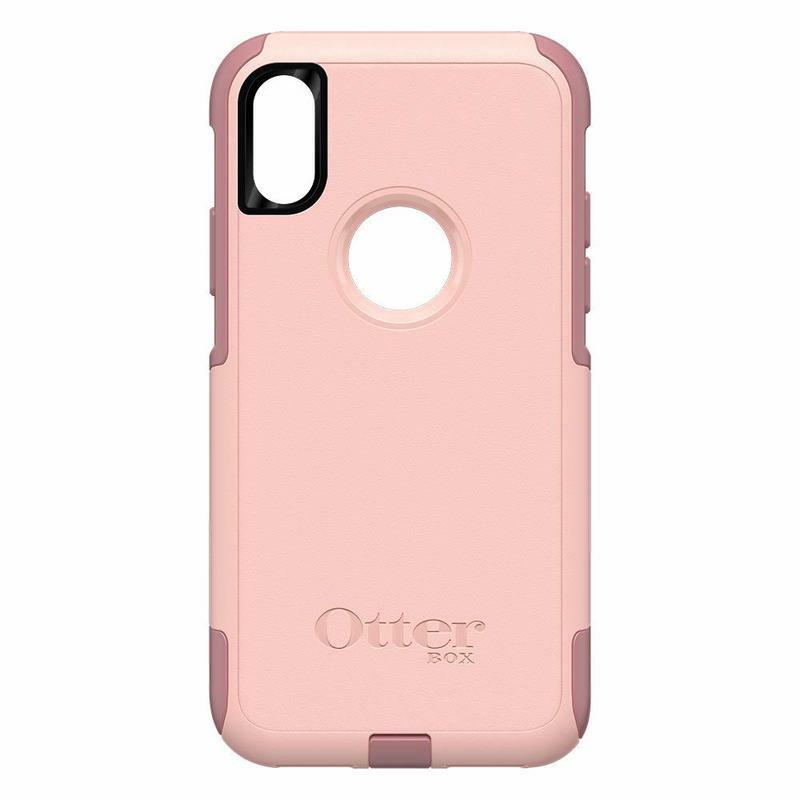 It’s made from a simple plastic layer, but the iPhone XS gets to breathe because of it. 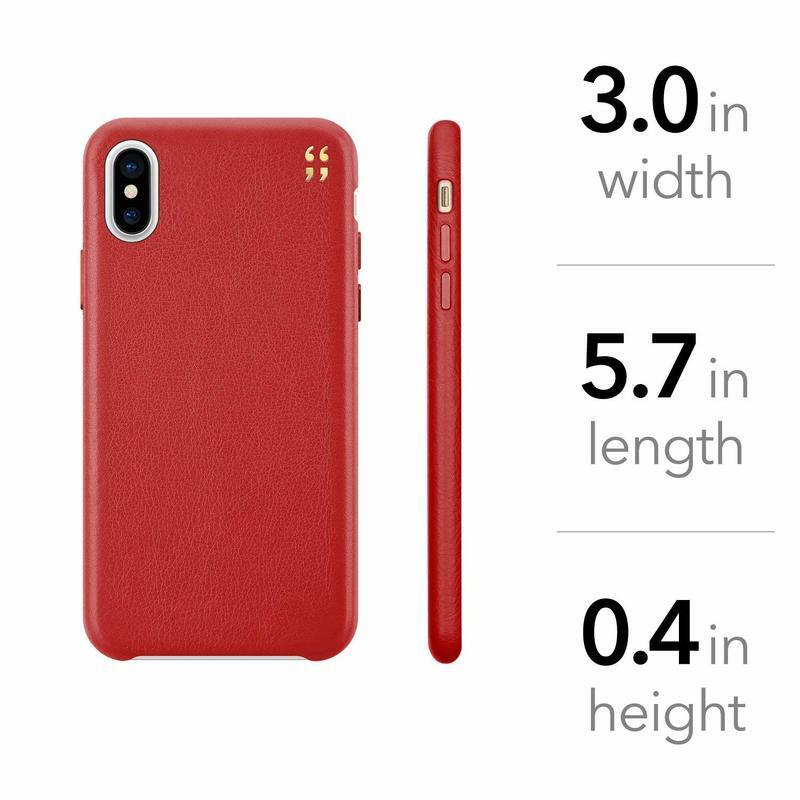 Between the .02-inch construction and 0.1 weight, you’ll hardly recognize a case is present. But it’s there, free of branding and even raising above the camera cutout to shield the lenses. 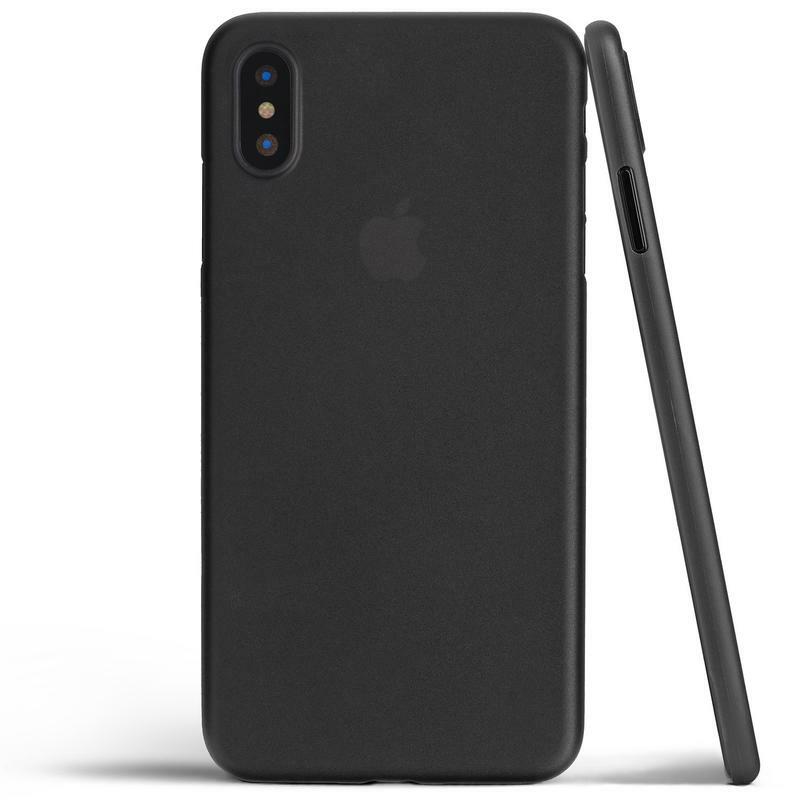 It seems like a trend at the moment, but something tells us that ultra-thin cases are here to stay. Many consumers have realized that, if you’re not too clumsy, you can get away with a barely-there alternative. 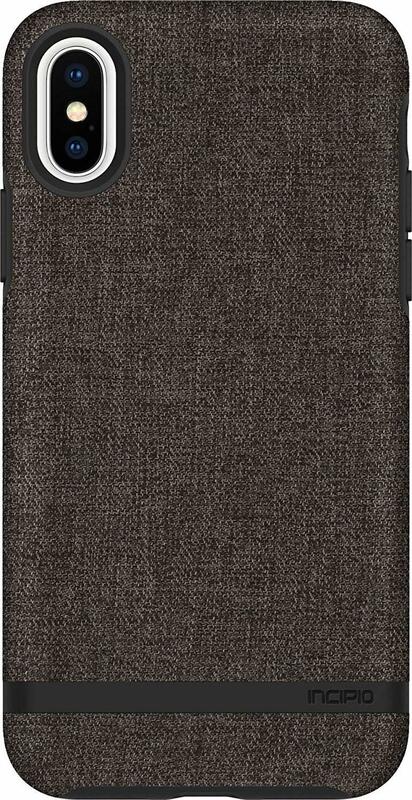 Plus, the Thin case from Totallee would shield your iPhone’s precious glass from even the faintest hairline scratches. 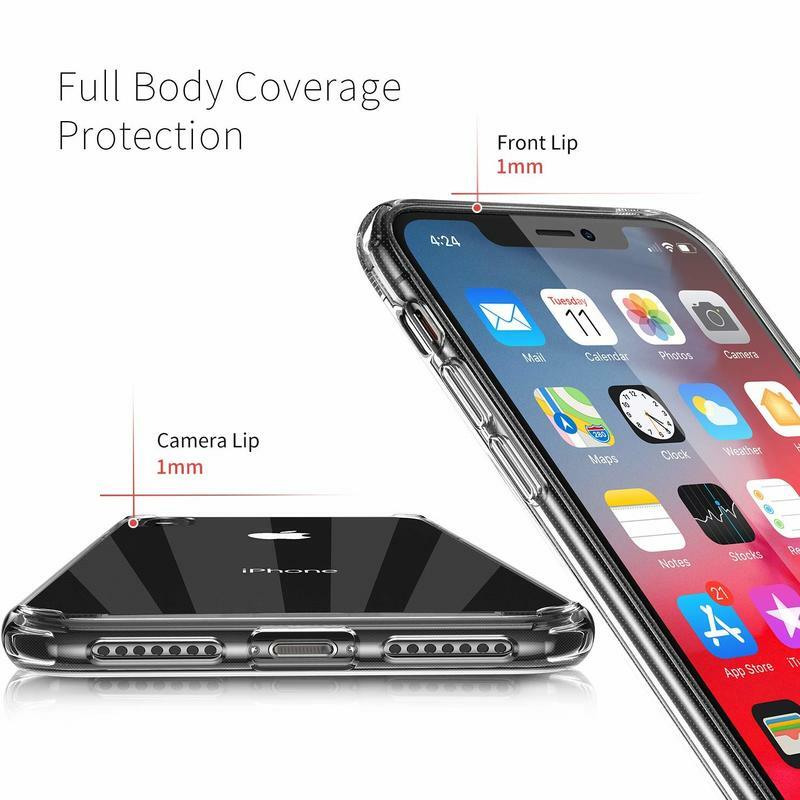 So it’s not like you’re missing out on all protection. 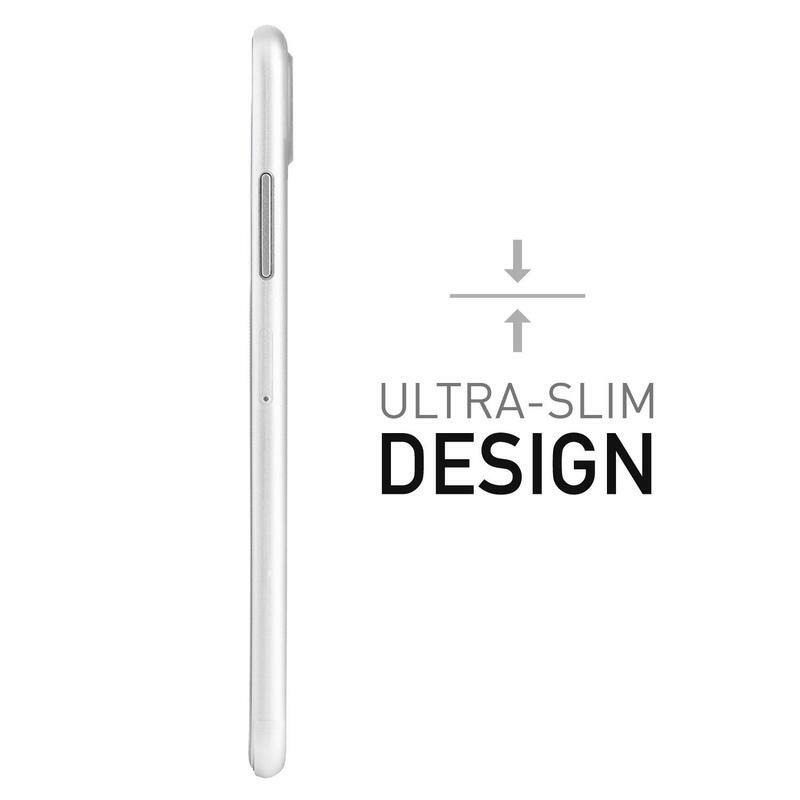 The Thin case should last you a very, very long time. Totallee has a 30-day money-back guarantee as well as a full warranty for customer assistance. If something happens to the case, reach out and the brand should handle the matter favorably. 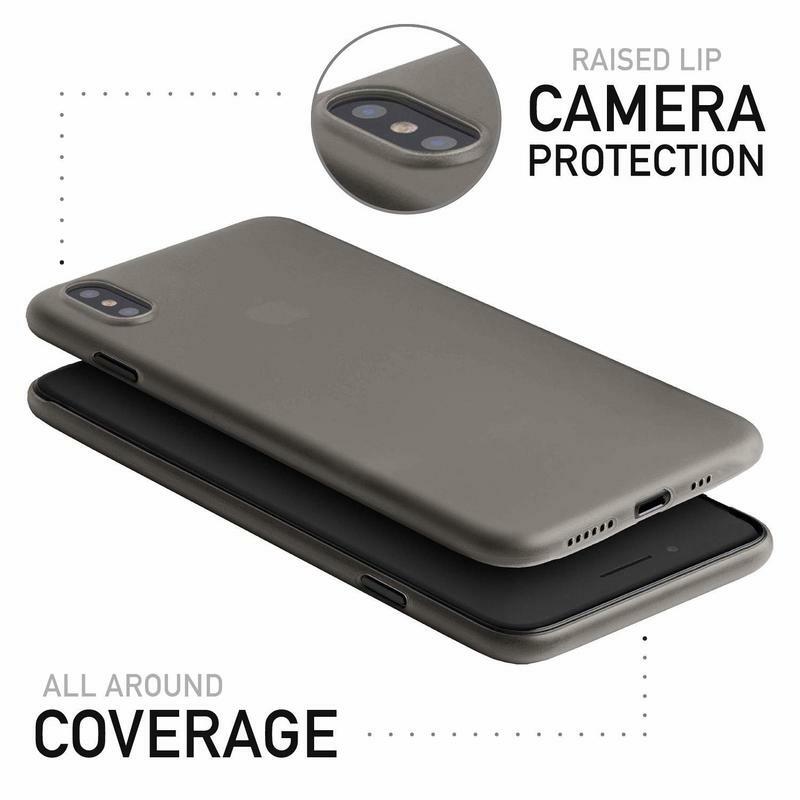 Totallee also offers its Thin case in matte, glossy, and leather finishes. All of them are unique, letting you get just the right feel. 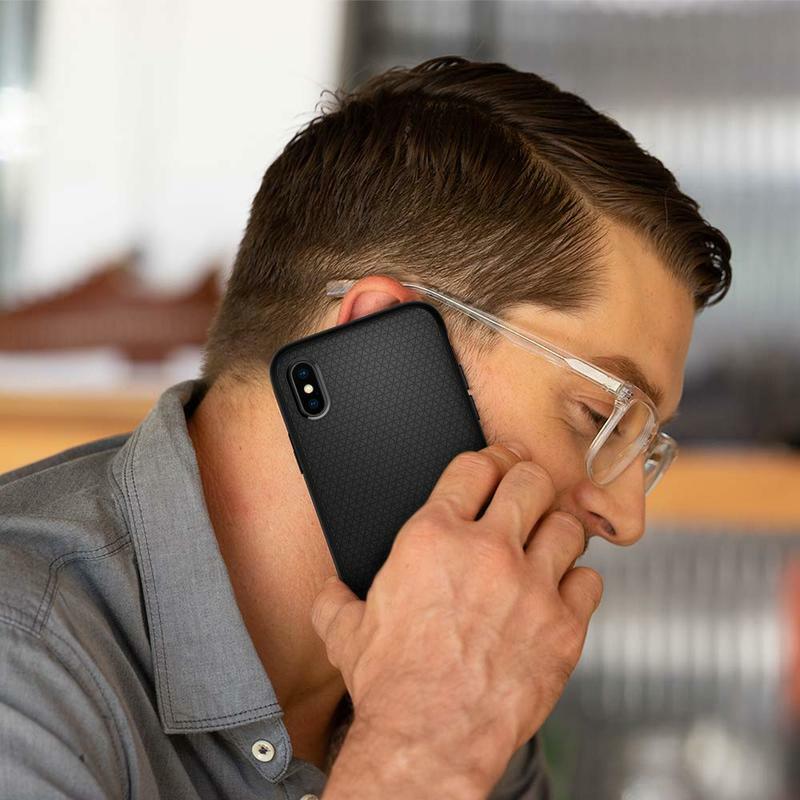 Spigen’s Liquid Air Armor case looks plain and simple, but it has some high-level qualities that you’ll appreciate. 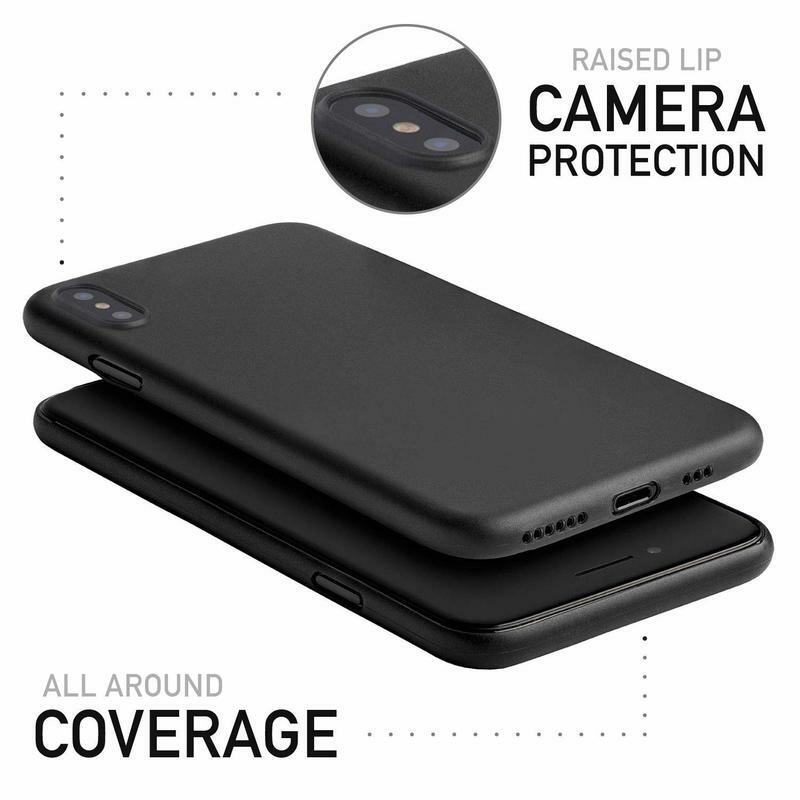 Made entirely from thermoplastic polyurethane (TPU), the case feels soft. Yet it’s strong enough to absorb impact during a drop. 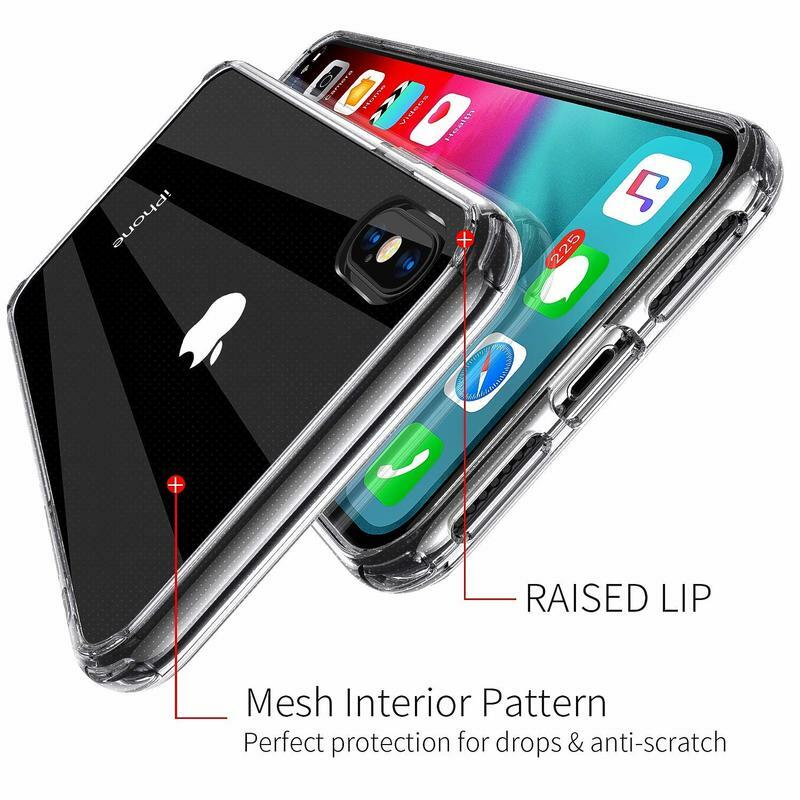 Spigen also worked in its Air Cushion technology that’s military-grade certified. So, if your iPhone plummets to the ground, there should be little-to-no damage. As for style, you get a geometric pattern engraved into the matte-finished back. While the entire material resists smudges, it’s the geometric pattern that enhances your grip. Too often, cases that store cards and cash are formal. Silk, though, thinks you should be able to have a cool-looking case with the same functionality. The Wallet Slayer Vol. 2 case isn’t expensive, either. So you’re benefitting from all these amazing features in a single, affordable accessory. Here, you can store three cards and cash. That means a driver’s license, credit card, and bank card will fit. By the way, it’s held tightly in place. But Silk kept going with the bonuses. 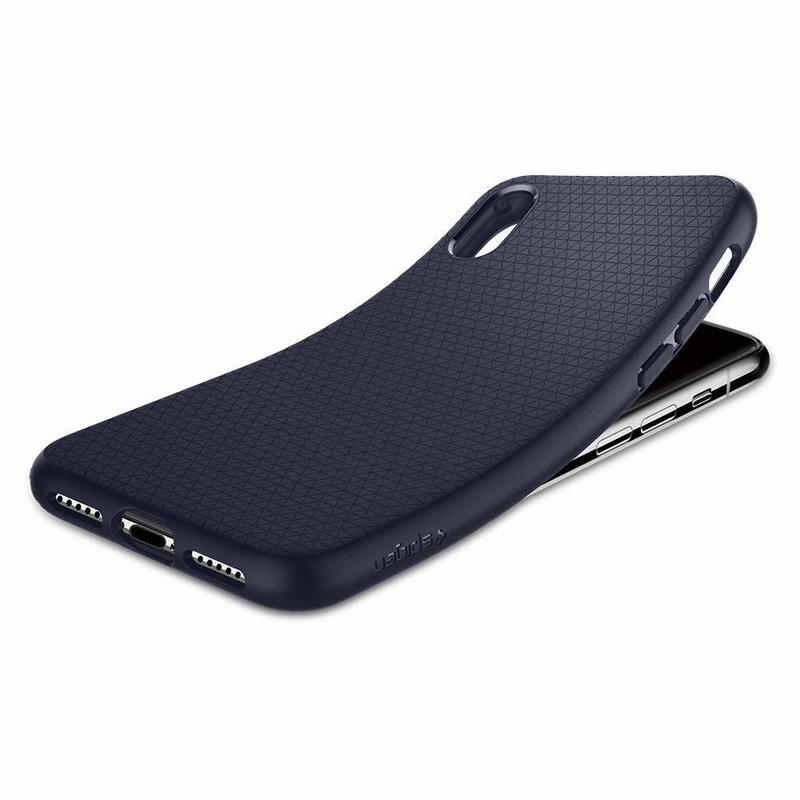 The entire case is TPU-based; however, the sides have a textured coat for gripping. Also, you can use any card to activate a makeshift kickstand. Silk even threw in a screen protector. Most brands require you purchase that separately, and thus the Wallet Slayer Vol. 2 seems like an even better value. 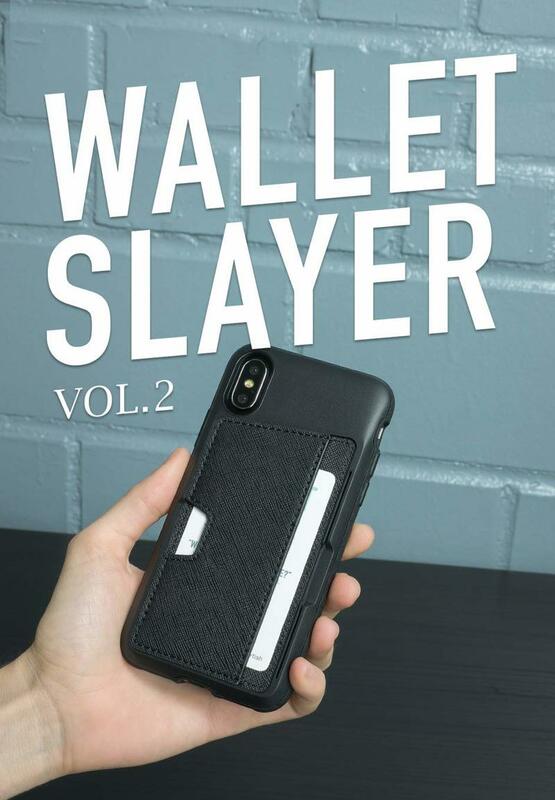 The Wallet Slayer Vol. 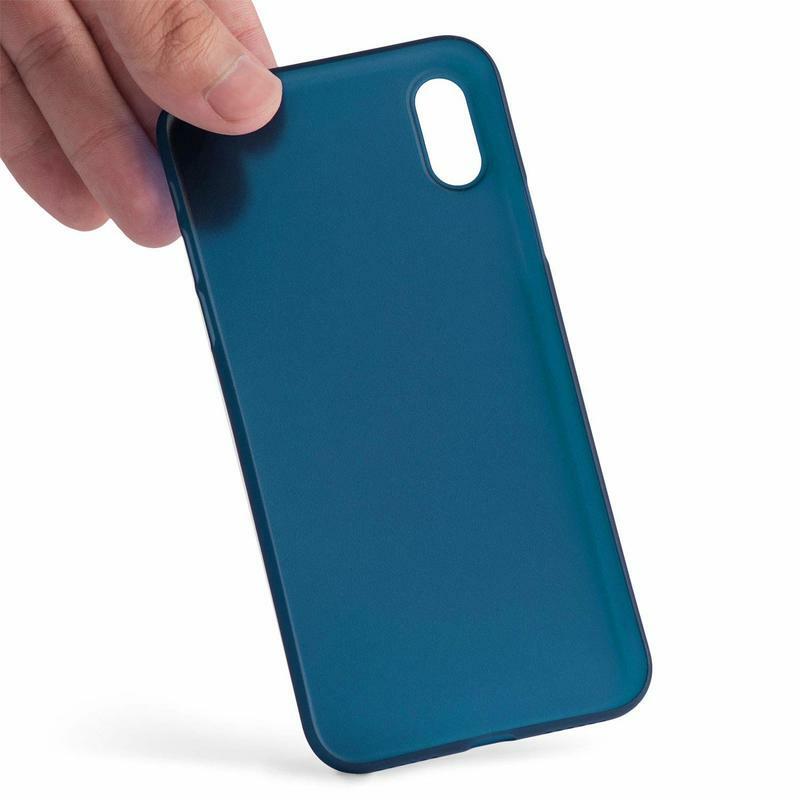 2 case is offered in black, red, and blue. We wish the colors were a little more exciting, but all of them are attractive and should match your style. 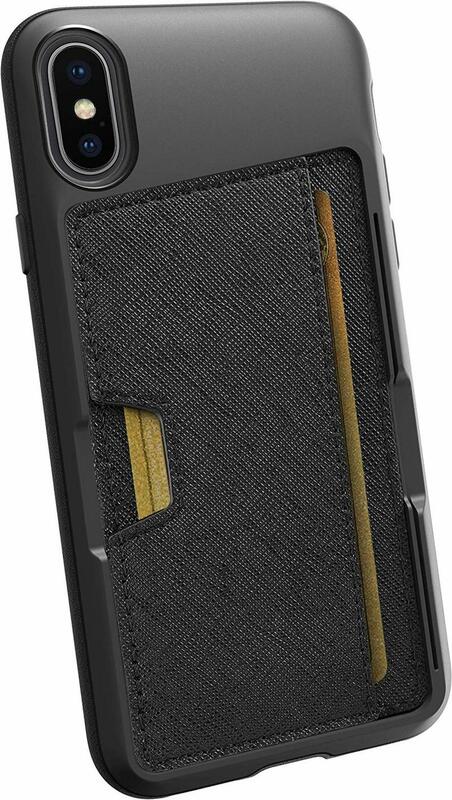 Think about how nice it is to carry a phone and essential cards/cash together, then enjoy this case’s $25 price tag. 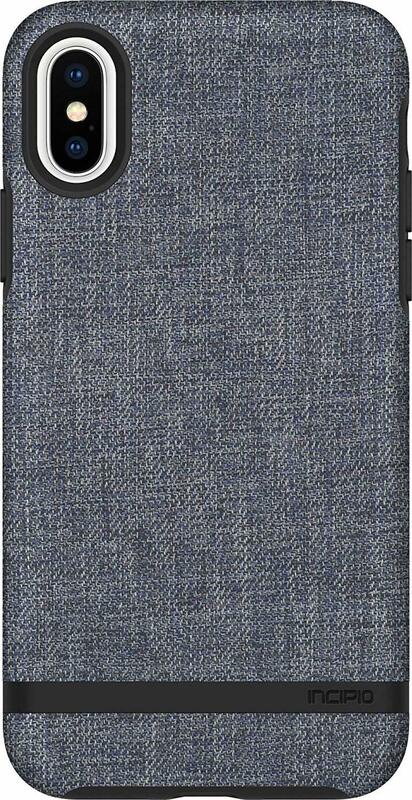 Incipio released the Carnaby Esquire case in an effort to replace style with style. 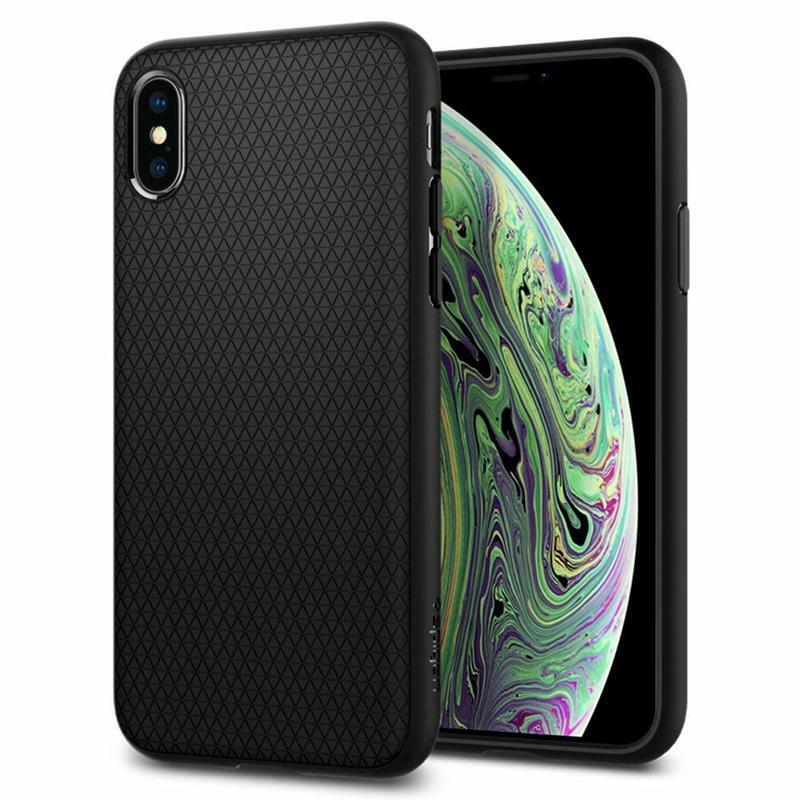 It’s a unique accessory because, although it hides the iPhone XS’ gorgeous design, the materials are premium. 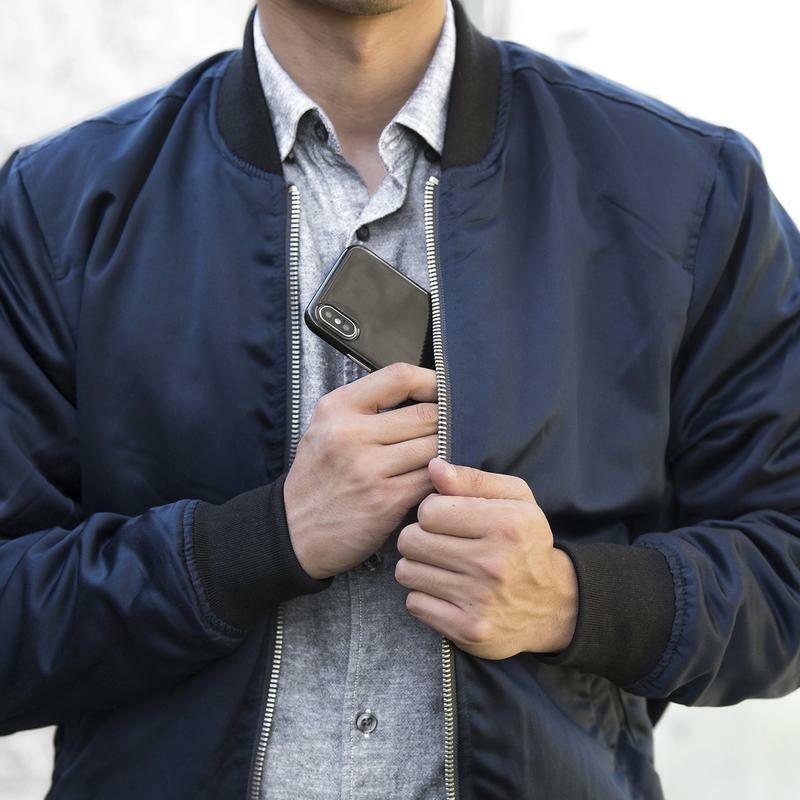 The Carnaby Esquire case has been assembled from a shock-absorbing polymer that’s covered in an ultra-soft cotton finish. What’s not to love about that? Most cases are basic, uninspiring rubber. Incipio put in the resources to create a case that’s as beautiful as it is reliable. That’s the type of thing that has made Incipio a well-known, trusted brand for several years. i-Blason didn’t fall short in any area with this case. 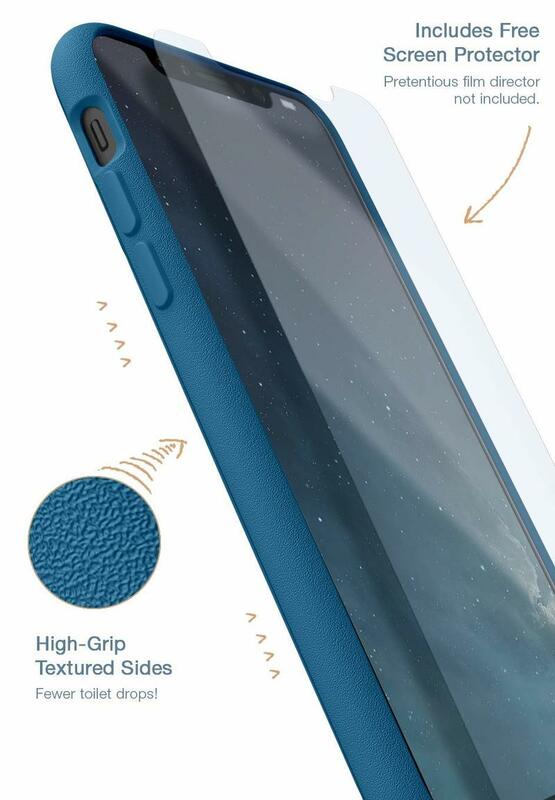 The Armorbox case has 360-degree protection between the shell and built-in screen protector. 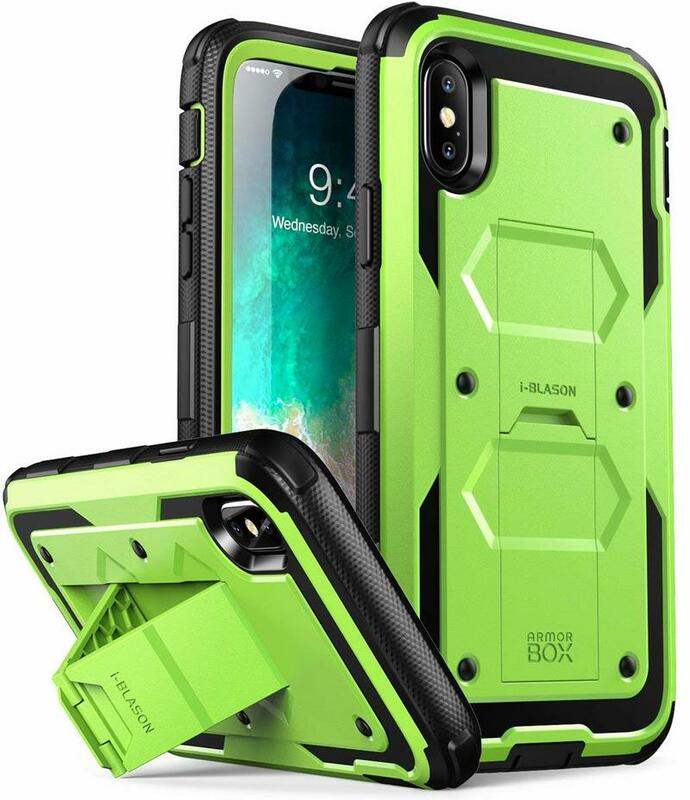 Seriously, if you want a total safeguard from the outside world, it’s hard to skip i-Blason’s Armorbox case. 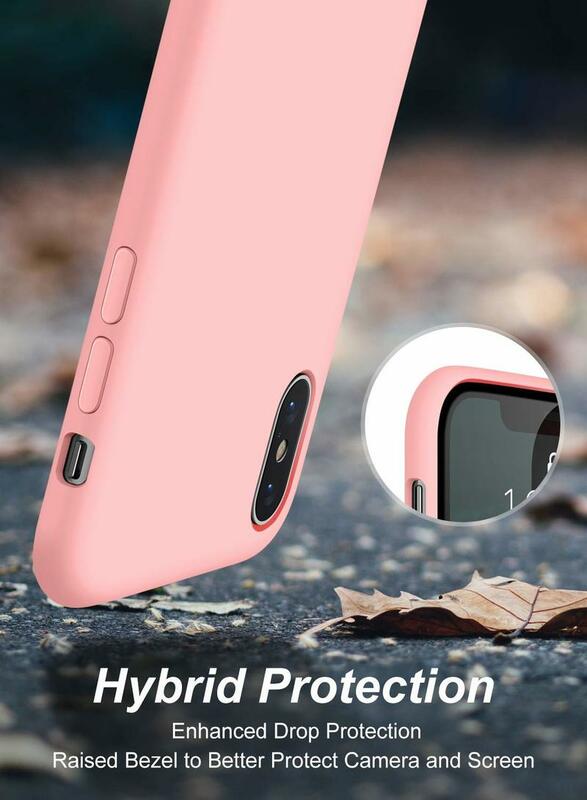 Whether you’re straight-up clumsy or merely paranoid, it’s the case to get for overprotection. From black to green to pink, the color palette won’t disappoint. 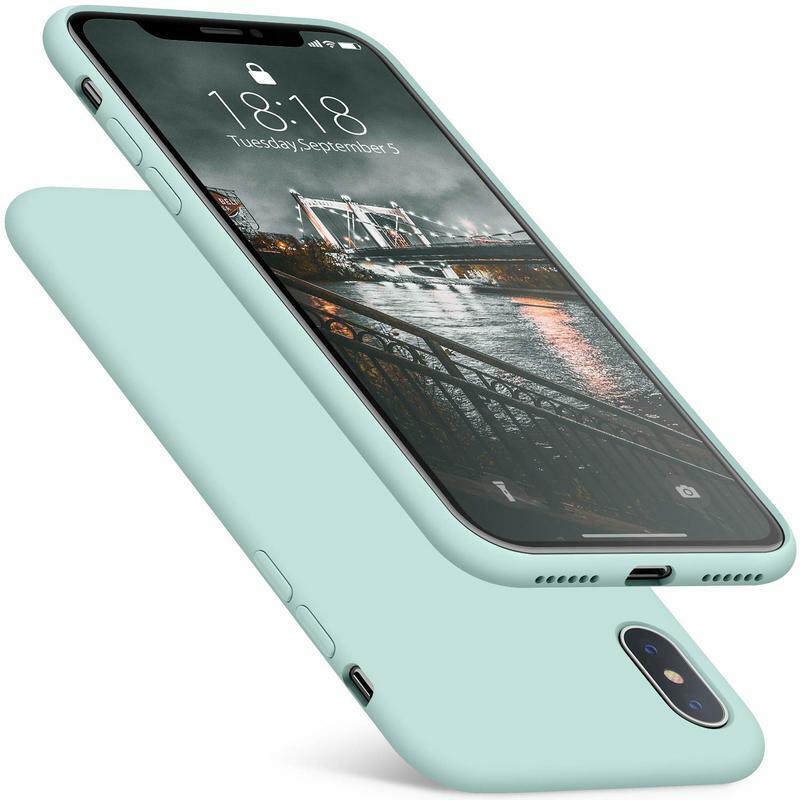 i-Blason knows its customers might want to express their favorite color on their case. 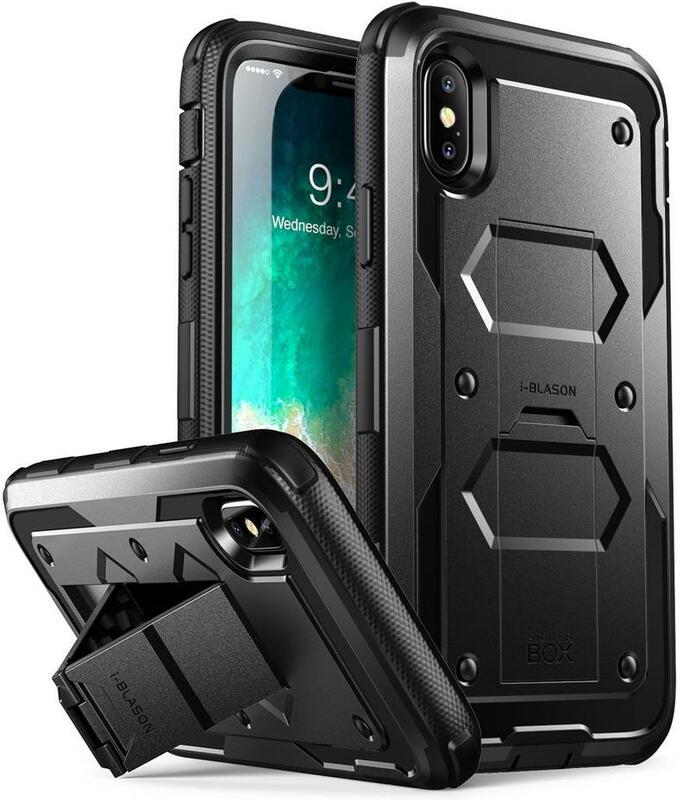 The case also has a built-in kickstand and an optional belt clip holster. It’s the former that you’ll be more interested in. 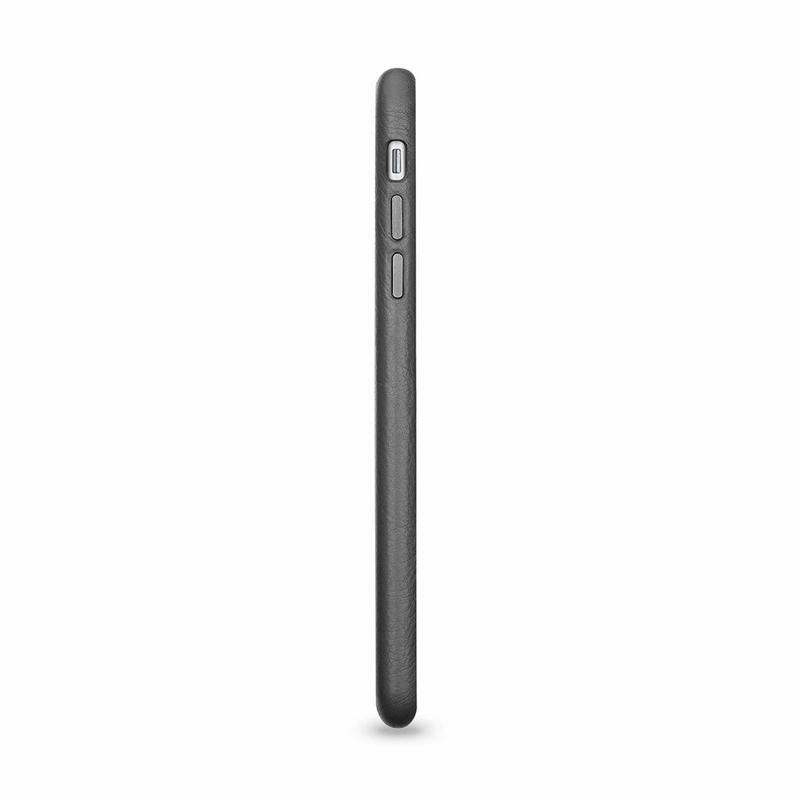 Both portrait and horizontal orientations are supported by the kickstand. Now you can watch videos or place video calls without actually holding your iPhone. 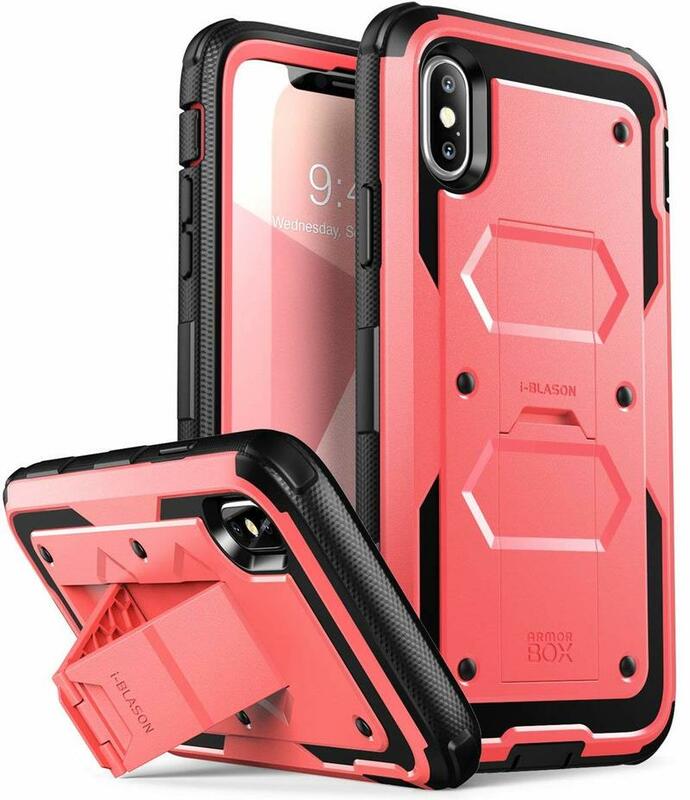 Like most of our picks, iBlason’s Armorbox case leaps ahead of similar cases because of its price. You’re scoring an amazing value at $18. And, if you’re a Prime member, expedited shipping costs nothing. 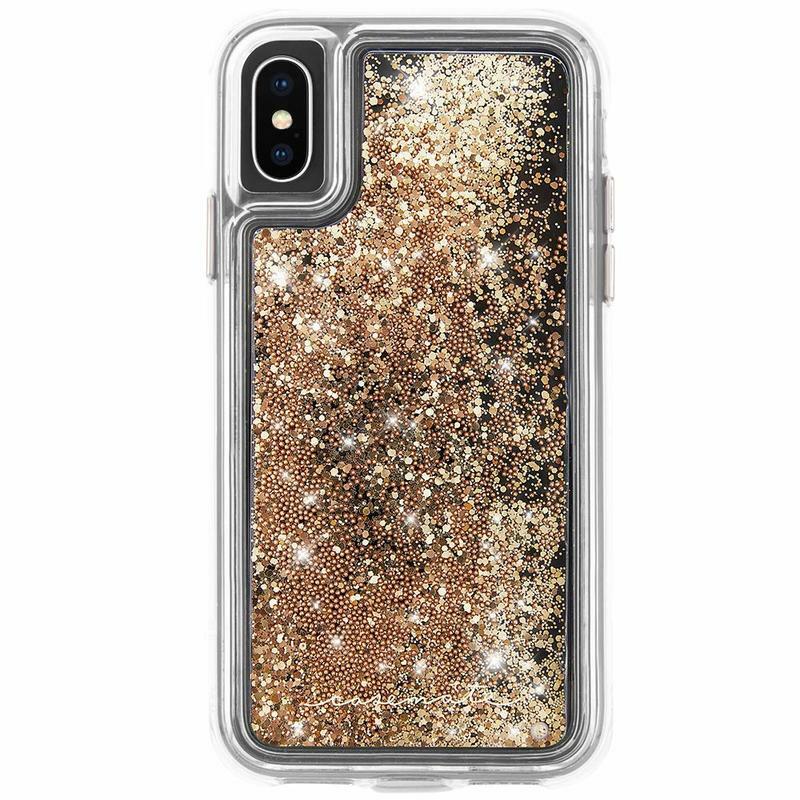 Let’s add glitz and glam to the iPhone XS. 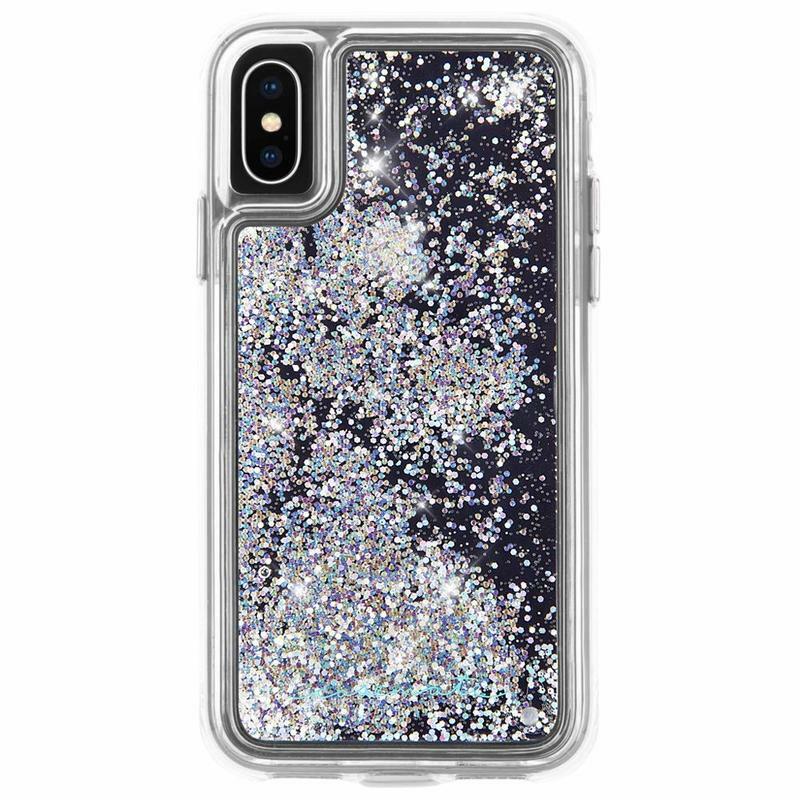 It’s already beautiful, but you can bedazzle the world with Case-Mate’s Waterfall case. The accessory stores glitter inside that floats around. But it’s not just any glitter. 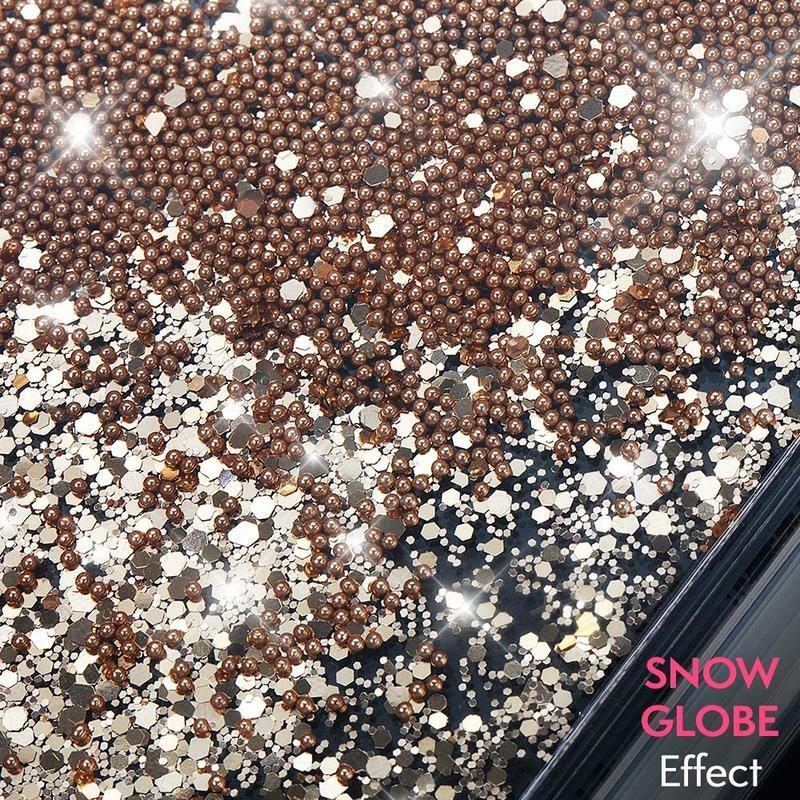 For all the varieties, you’ll notice a snowglobe effect that reflects light in an eye-pleasing manner. 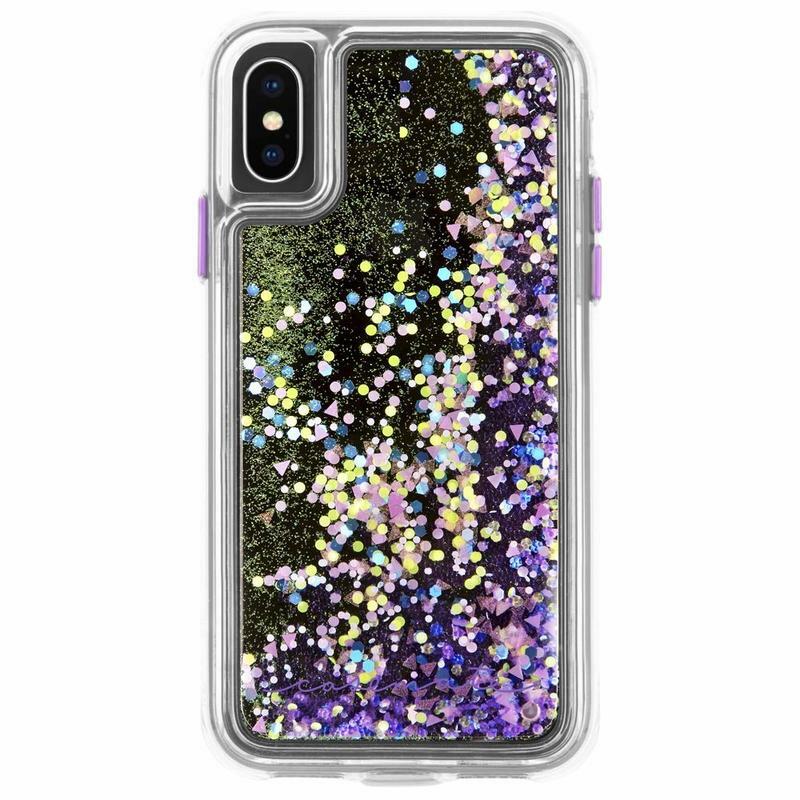 Still, the Waterfall case is durable enough to laugh at drops and knocks. 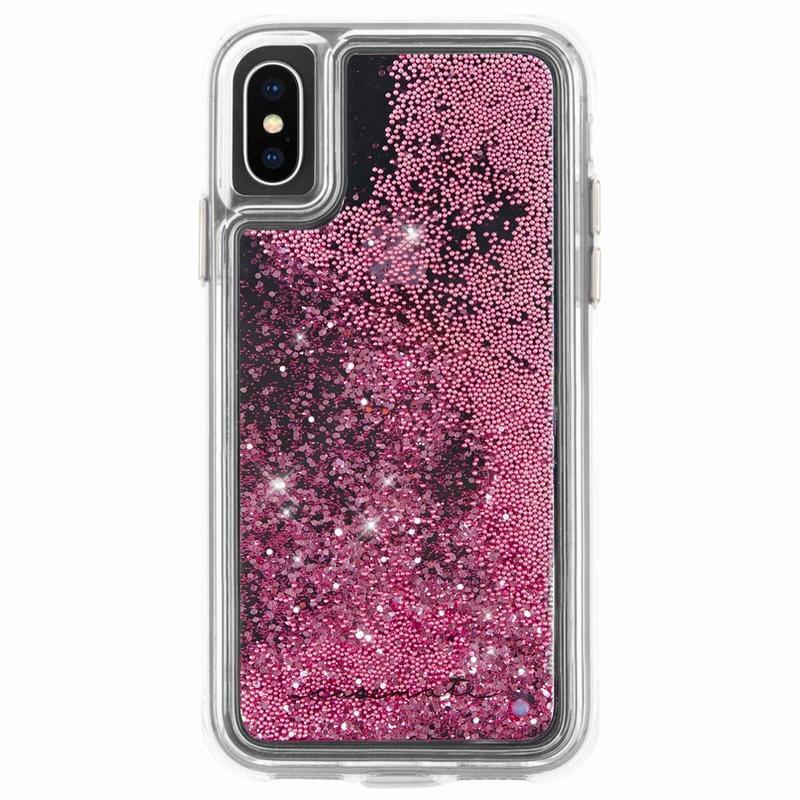 Before you drop $50 on a silicone-based case, check out the DTTO Romance case. The name doesn’t mean everything. 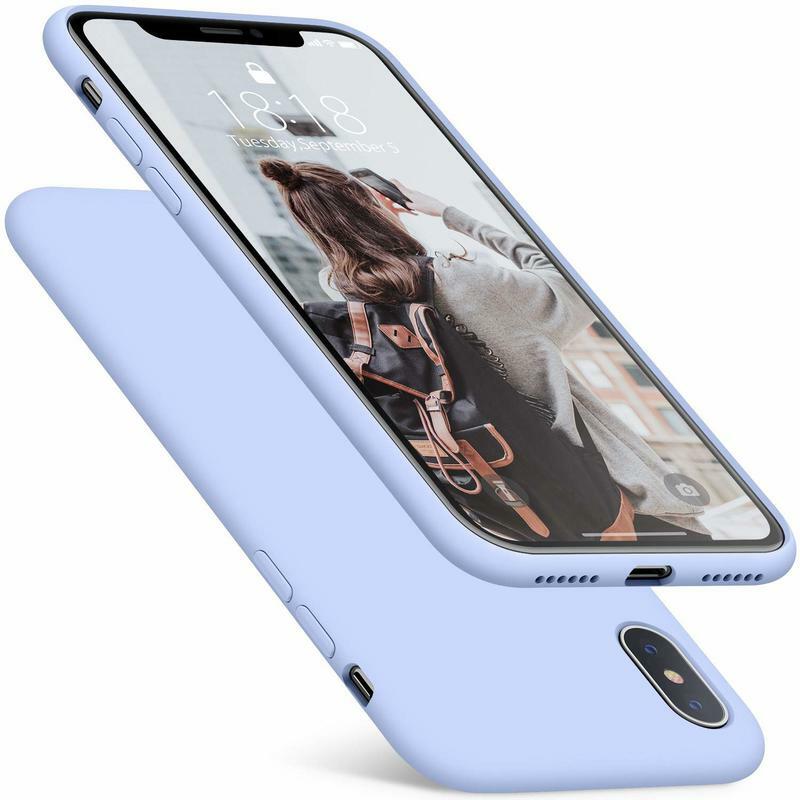 With this case, you’re embracing a soft, flexible TPU and raised bumpers that do the necessities. Your iPhone XS won’t shatter, and it won’t be scraped on flat surfaces. On top of that, DTTO offers up full coverage. 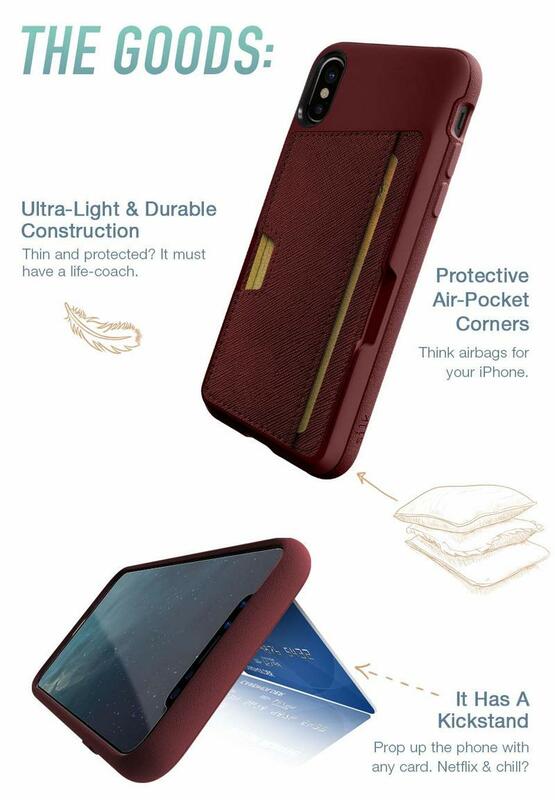 The Romance case comes in a wide range of colors, too. If you can’t find one that suits your personal taste, you could be too picky. Take a look at DTTO’s colors, pull the trigger, and get a fabulous case that’s also protective. 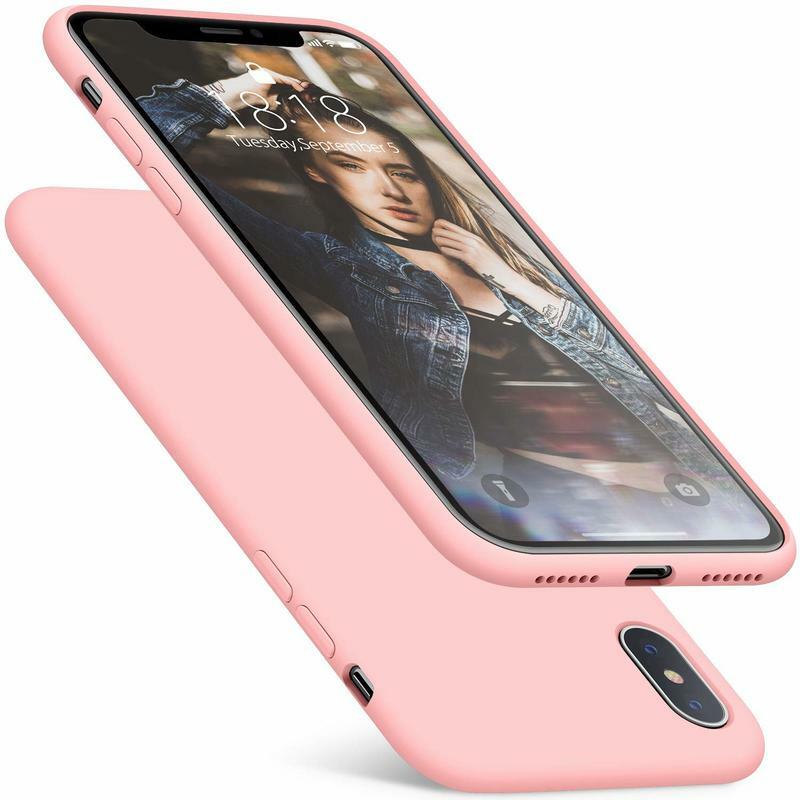 DTTO’s Romance case resembles the first-party case you can purchase for the iPhone XS. That would help explain how it ended up on our list. 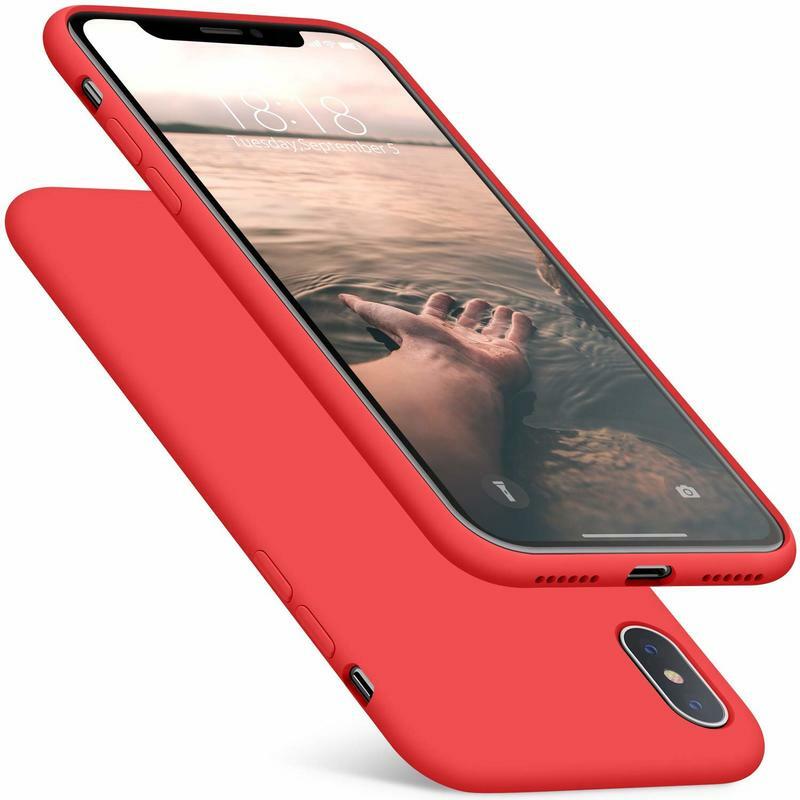 PSA: Apple charges $40 for its silicone-based case. DTTO uses the same material, and it’s half the price. 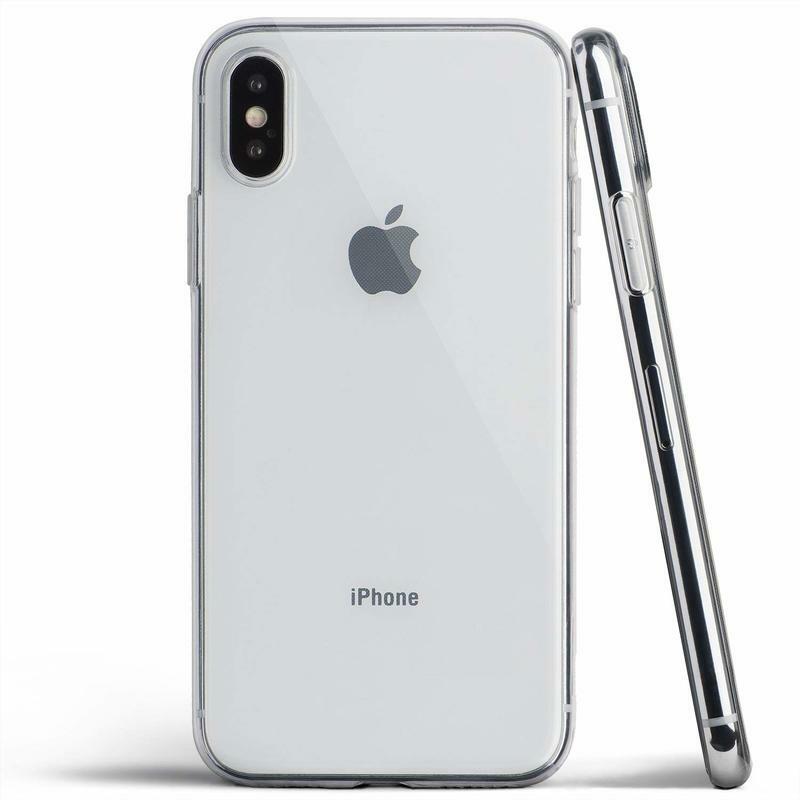 Be wise and choose this over Apple’s first-party case because, well, no one will notice the difference aside from their logos. You have an iPhone XS. Don’t let that hard-earned money go unseen by letting a case put it into the shadows. 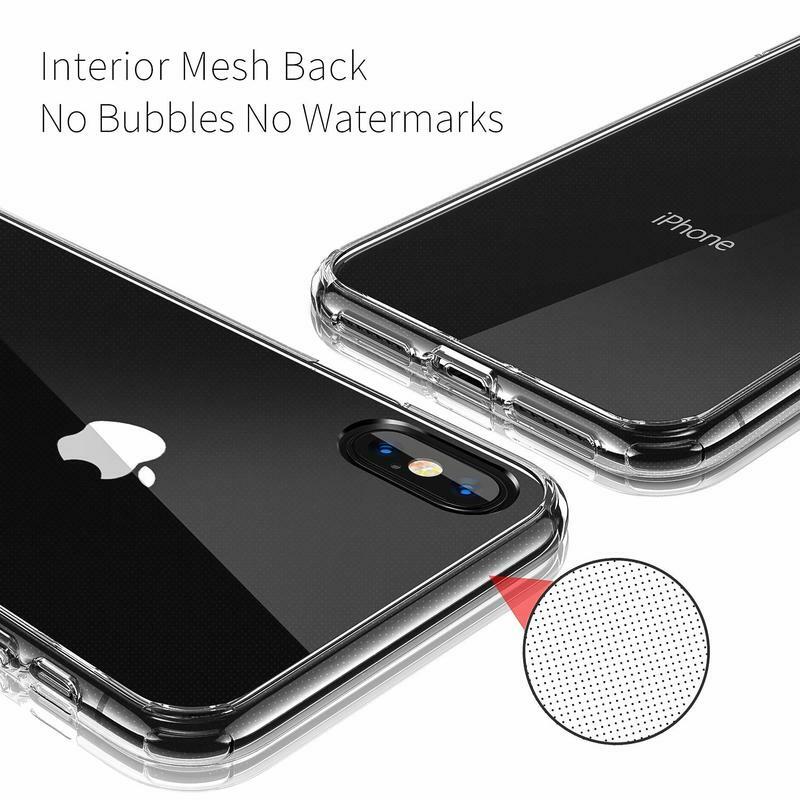 With the Transparent case from CASEKOO, your iPhone and the world are together. 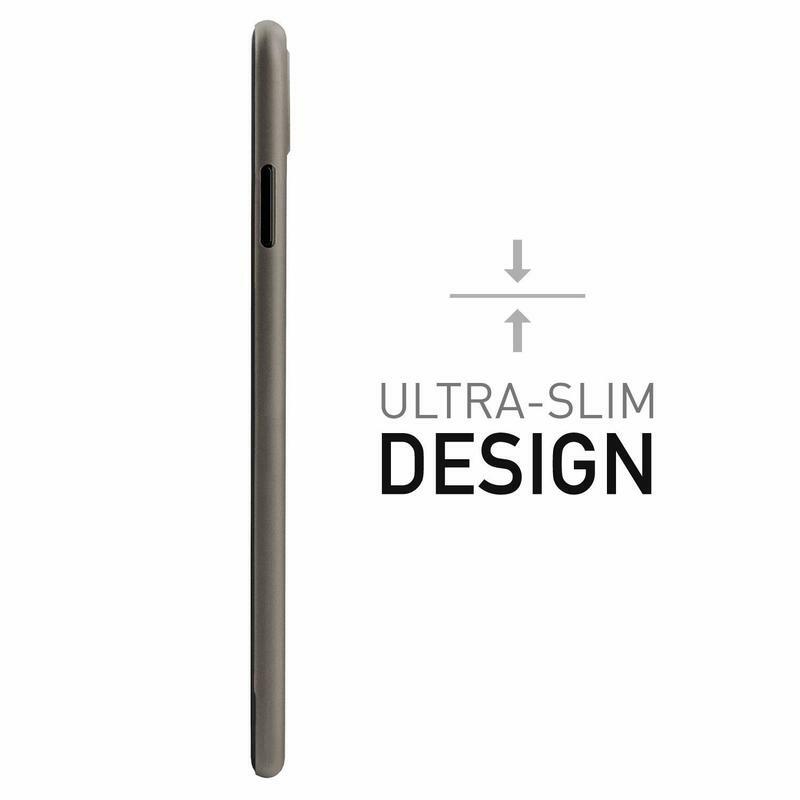 Everyone can see and admire the 5.8-inch edge-to-edge screen, stainless steel siding, and gold or gray finish. There’s no doubt that you’ll have that piece of mind, though. 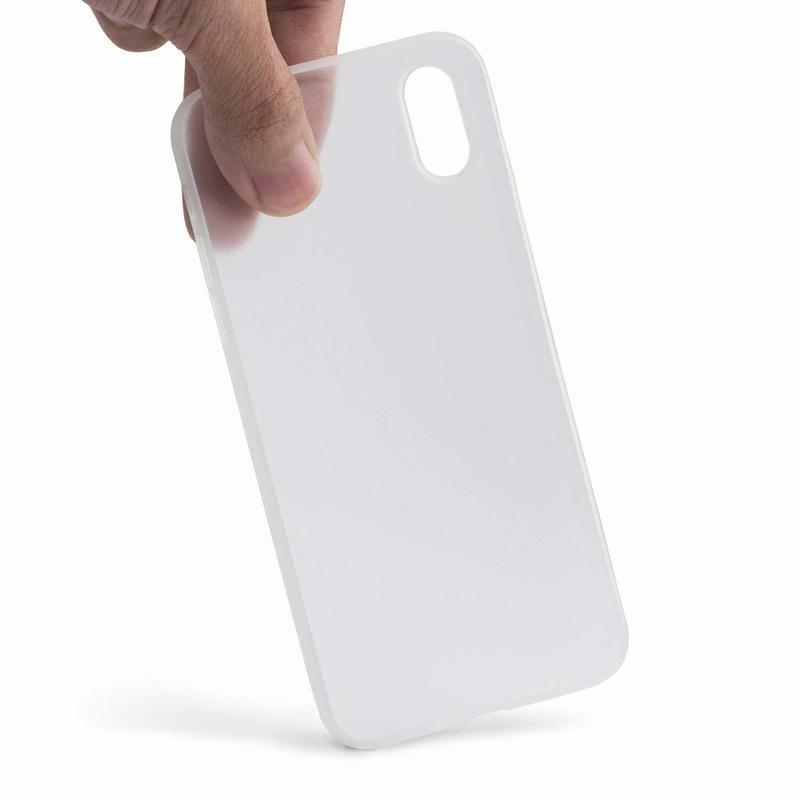 CASEKOO uses a soft, clear TPU that cushions impact from drops. 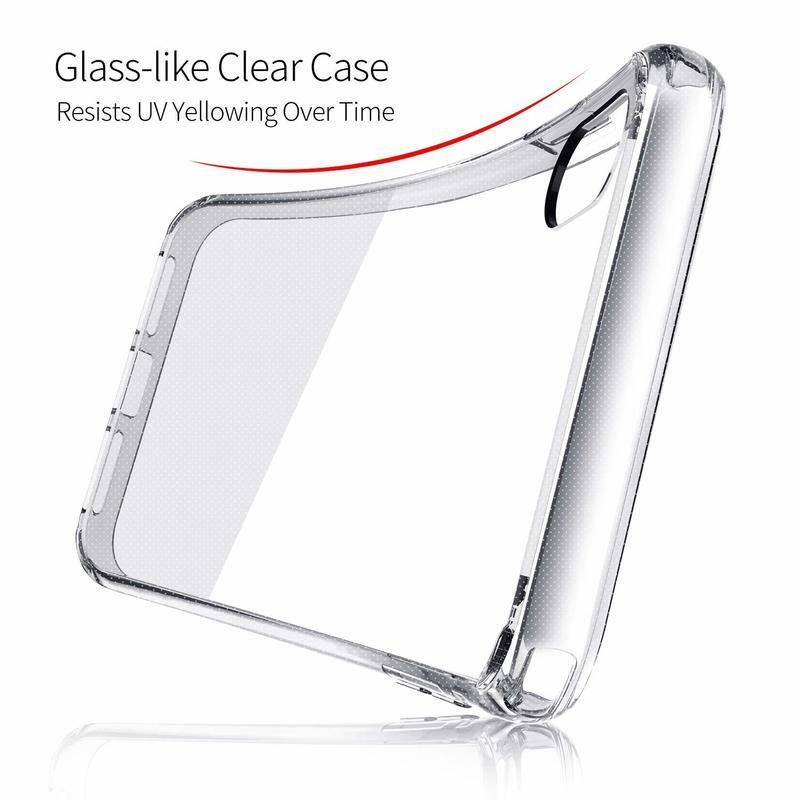 It’s only $14, but you should have the Transparent case for the life of your iPhone. CASEKOO does include a warranty. 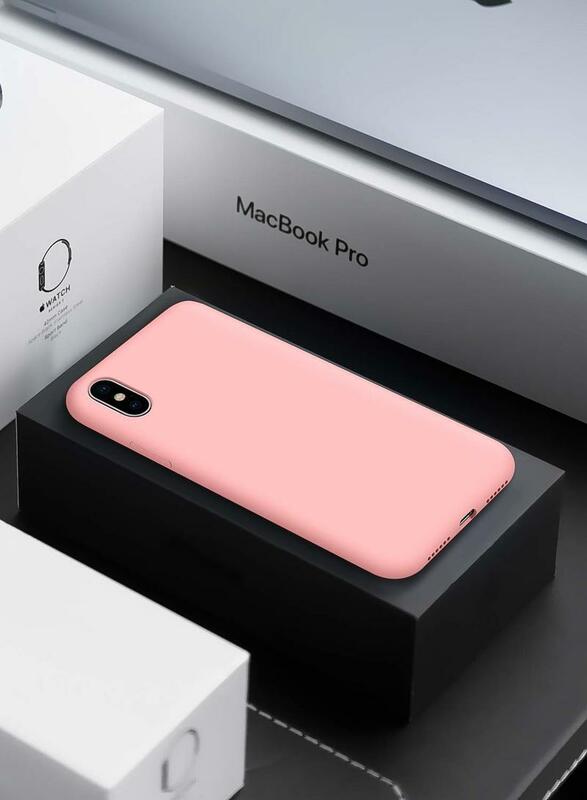 As long as it’s within the first year of ownership, the brand replaces your case in the event it experiences serious damage. 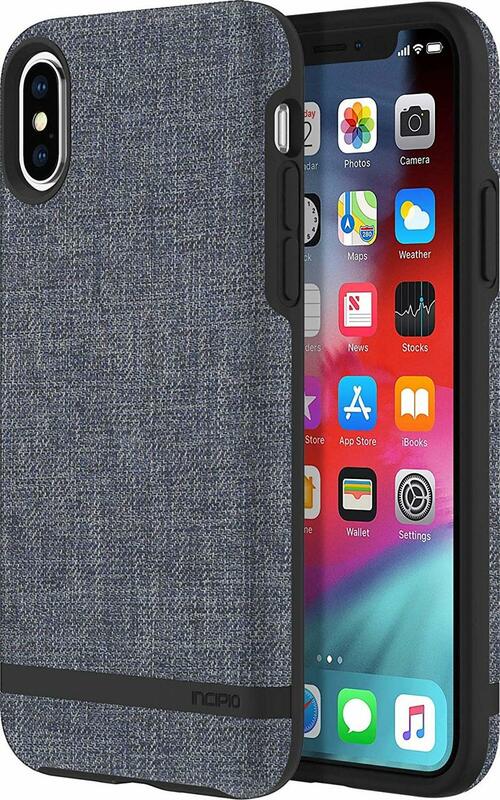 Not many brands are attentive to their customers anymore, but CASEKOO listens to anyone with the Transparent case and responds accordingly. Leather-based accessories aren’t cheap. 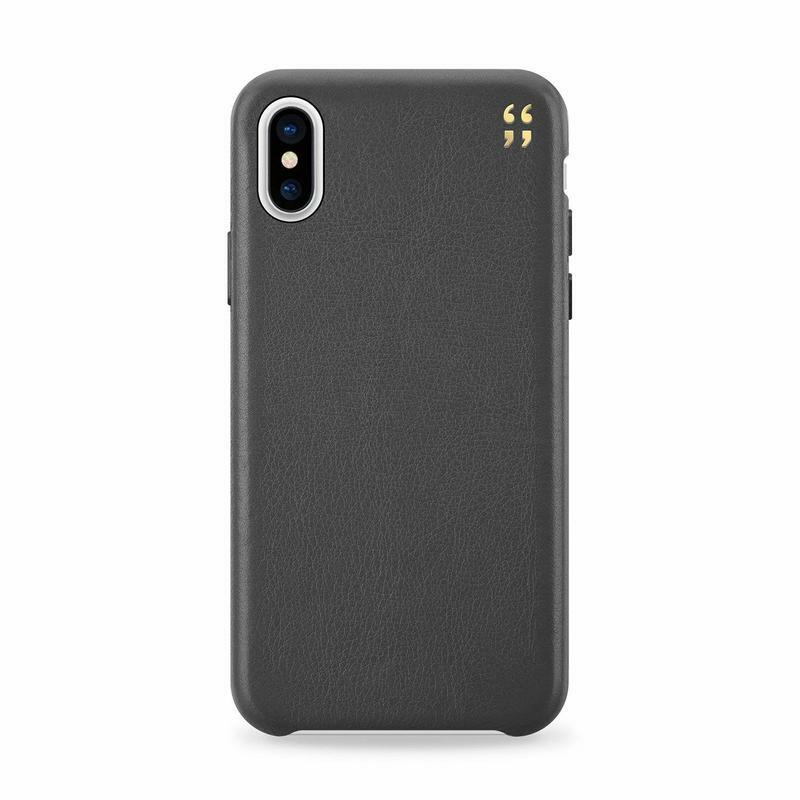 Casetify, however, sells the Leather Slim case for just $35. That’s a bit more than alternatives, but remember the brand uses a genuine leather exterior and soft fiber interior. Elsewhere, you’ll find plenty of knockoffs that try pushing leather but don’t look or feel anywhere close to the real thing. 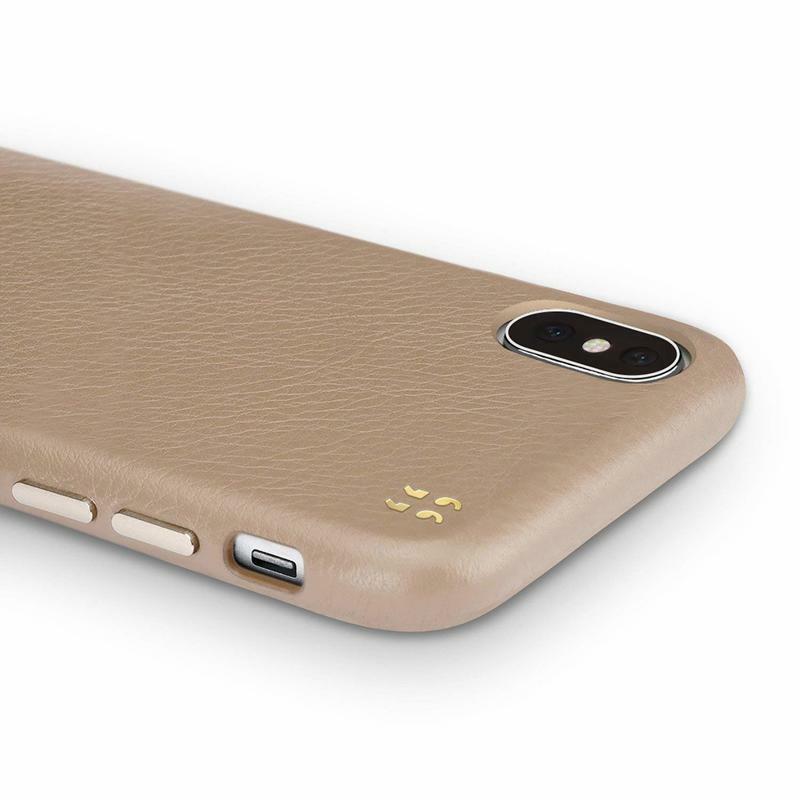 Casetify’s Leather Slim case seems to be well worth the extra penny. 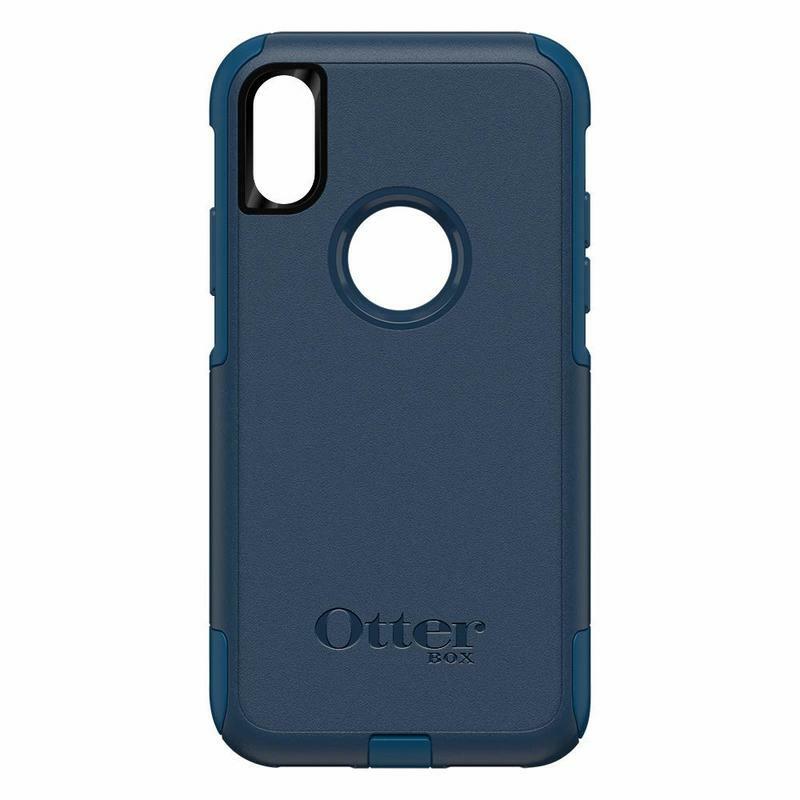 OtterBox is a global brand. It’s also an original partner for Apple’s iPhone series. 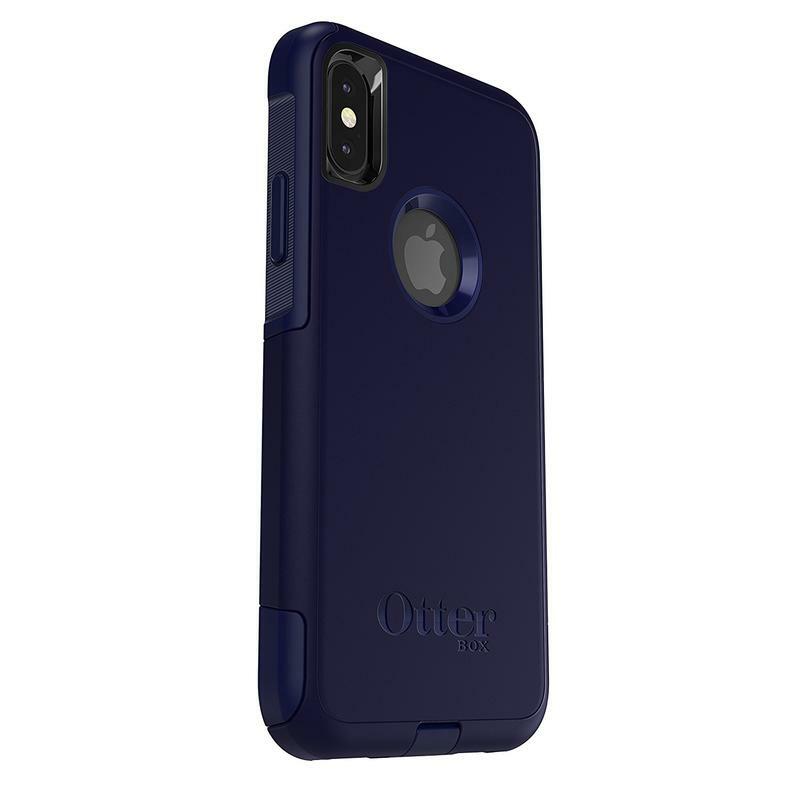 As people realized how awful a drop, knock, or scratch can be, OtterBox served up top-of-the-line cases for protection. The Commuter case isn’t as big and bulky as the Defender case, but its level of protection should be more than enough for the vast majority of consumers. The Commuter case also comes in a unique set of colors — Black, Indigo Way Blue, Ballet Way Pink, Ocean Way Blue, and Bespoke Way Blue. 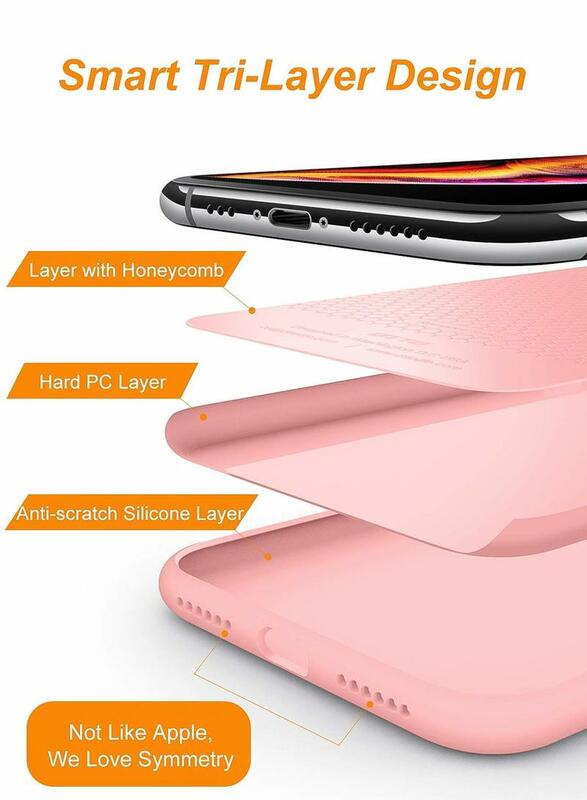 Its two-layer nature gives you drop and scratch resistance. 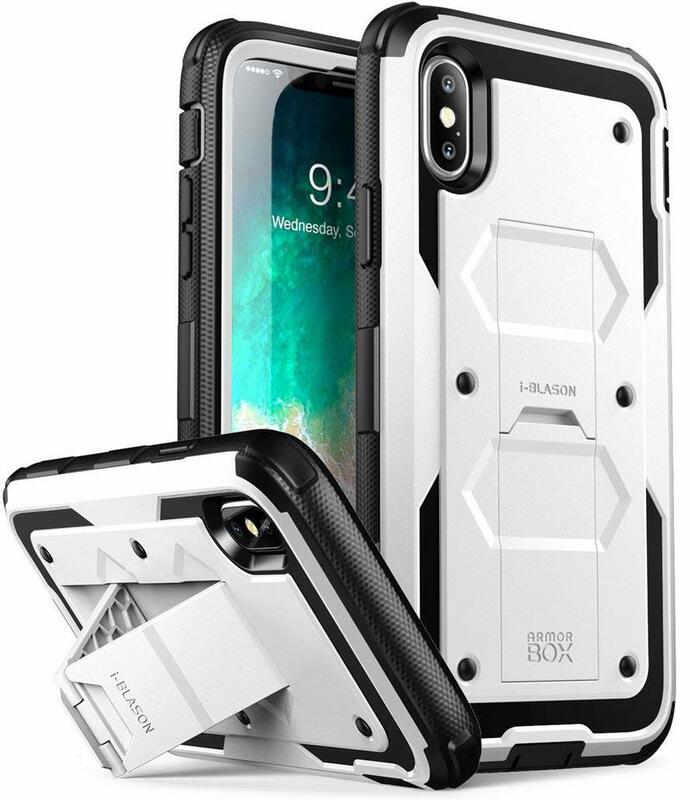 The internal slipcover absorbs impact when the iPhone XS meets the ground, and the exterior shell rejects sharp objects from leaving any blemishes. 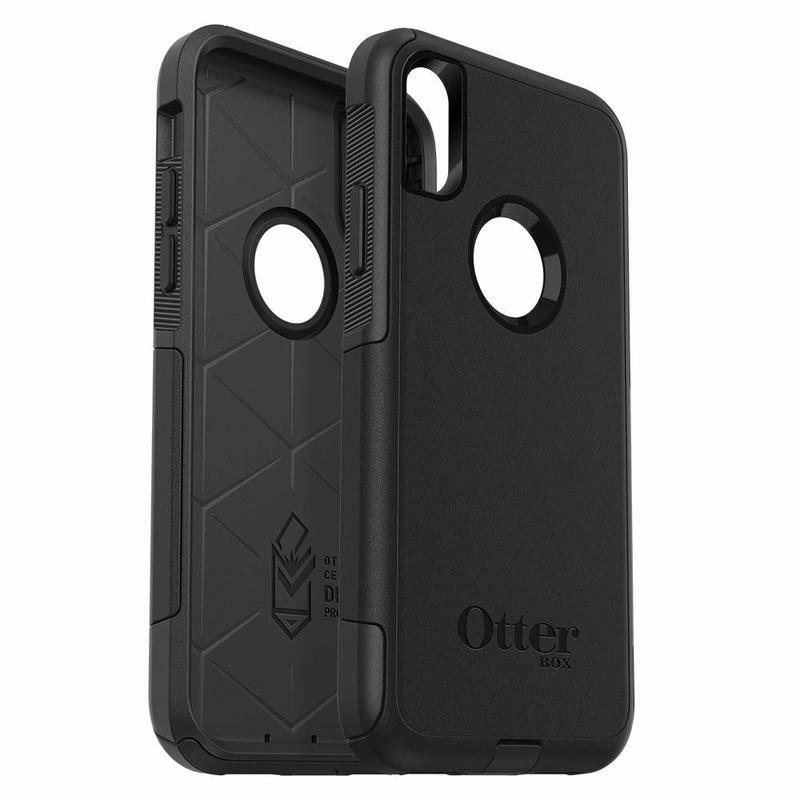 OtterBox also says there’s dust resistance through port covers.